All the supplies you need to care for your pet lizard. Information about the types of insects, vegetables, and supplements required for a healthy diet. The heating and lighting requirements, type and size of cage, supplies, and decor for the habitat. Sexing, mating, egg laying, egg storage, and incubation of the eggs. The hatching, feeding, and caring of babies and juveniles. 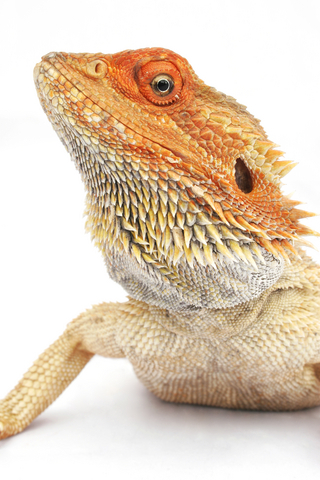 Information about common health problems and illnesses that could affect your bearded dragon. What to look for in a healthy lizard and buying one from a pet store, reptile show, or online breeder.